Babcock own and operate Rosyth Dockyard in Fife. 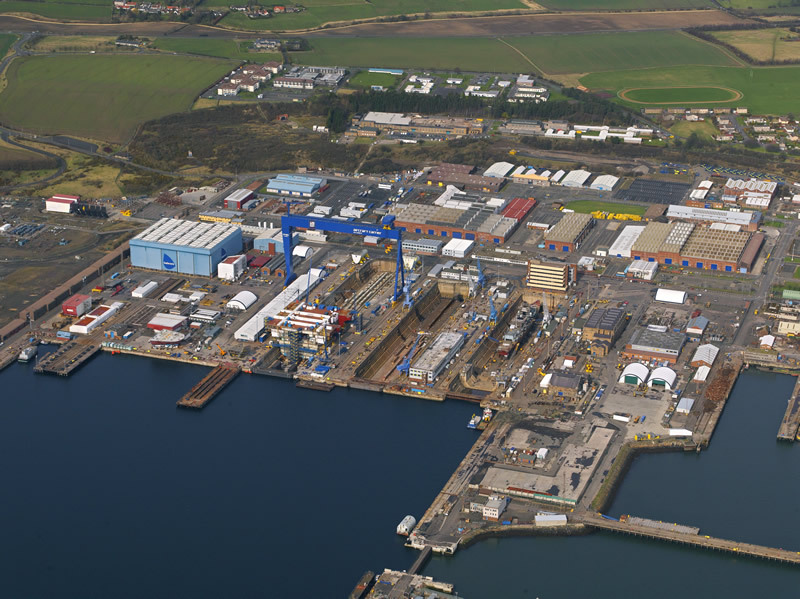 The Rosyth facility is one of the largest waterside manufacturing facilities in the UK. Babcock has the responsibility for the whole ship assembly of the Queen Elizabeth Class (QEC) aircraft carriers as part of the Aircraft Carrier Alliance. Babcock operates a commercial marine hub at Rosyth, providing flexible facilities and services to support marine logistics, offshore operations and complex vessel maintenance. Through the Technology arm of the division, teams at Rosyth provide vessel platform design, integration and management services and high integrity systems to various global markets. Rosyth Dockyard was used for the refit, repair and maintenance of operational nuclear submarines from the 1960s until 2003. As each submarine reached the end of its operational life, it was defueled and decommissioned onsite. A MOD project for the final dismantling of the laid-up submarines is currently at the planning stage.